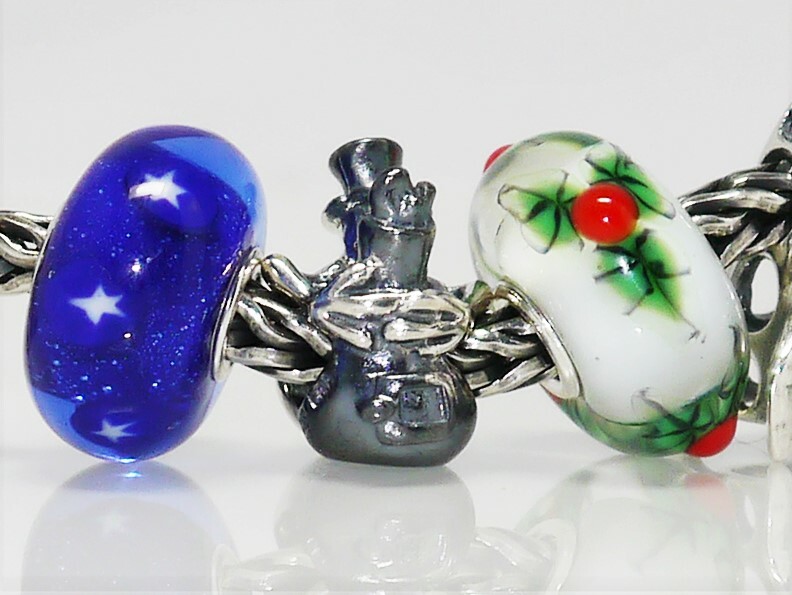 Today we see the release of Trollbeads Christmas 2015 collection, ‘Warm Greetings‘. Here are some live close up images of some of the collection along with my initial impressions / reviews. Firstly, here are the pictures …. 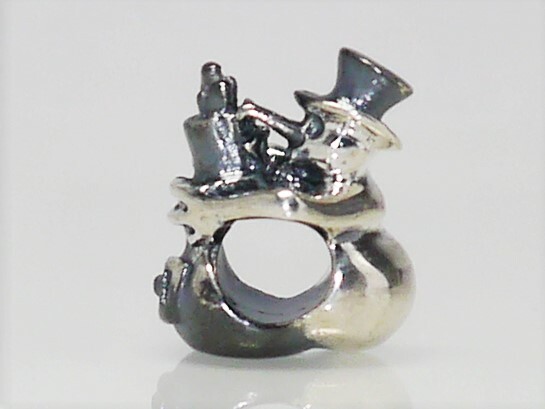 The highlight of the collection for me actually has to be ‘Snowman Frost & Lady Thaw‘. 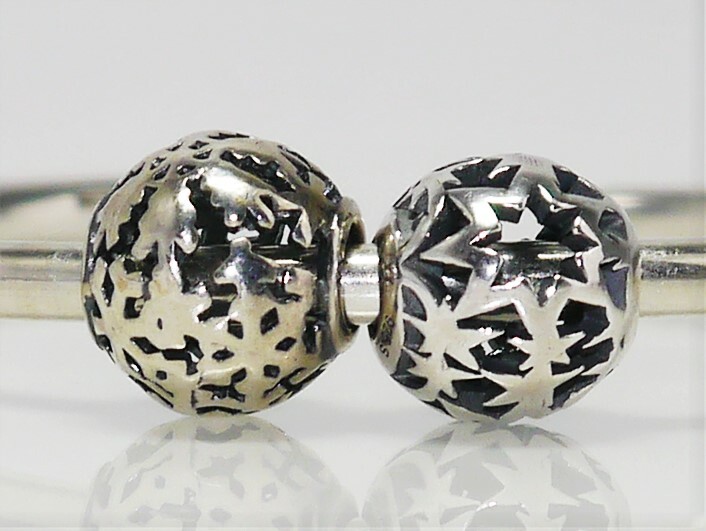 The way that two tone silver has been used to accentuate different parts of the bead really makes it stand out. 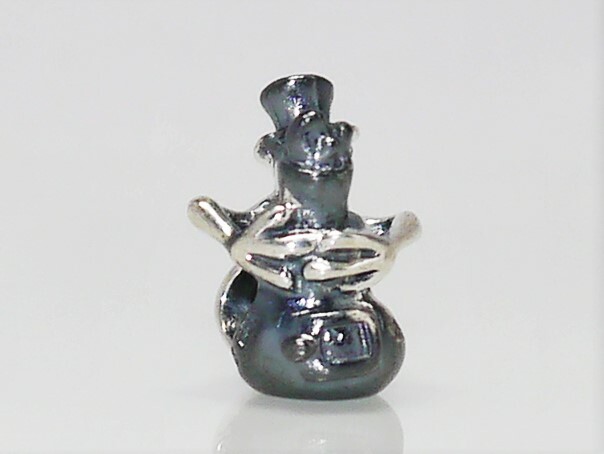 Lady Thaw and the Snowman’s hat are in a darker gun metal silver while the rest of Snowman Frost, including his hands are in a more polished silver. 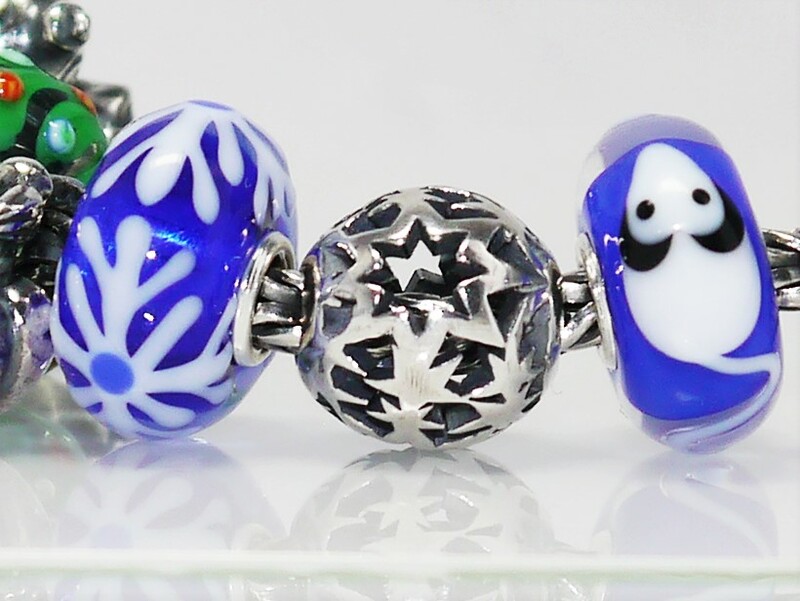 It is a lovely little bead and a great complement to ‘Singing in the Snow‘ from last year’s Christmas collection. 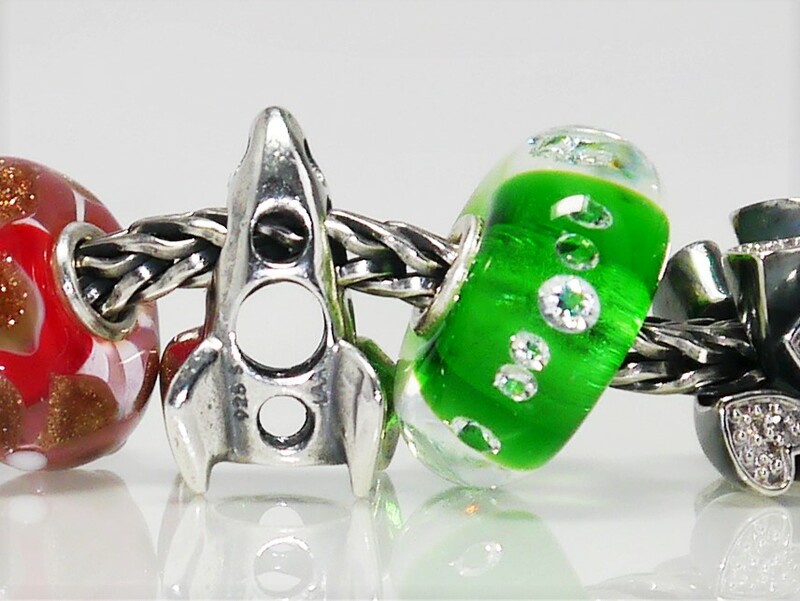 The other bead that really surprised me is ‘Fireworks‘. 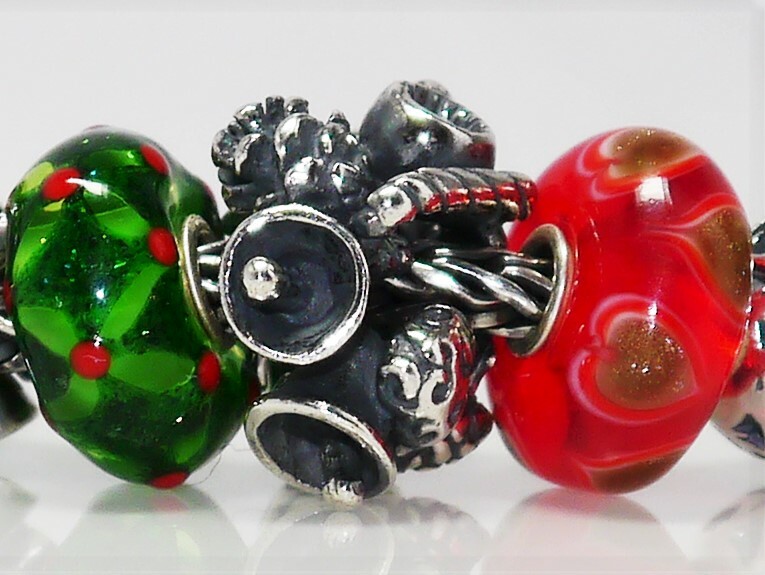 I initially overlooked this bead but it is a great design that is versatile for use well beyond the festive season. It makes an excellent complement to ‘Winter Snow‘, and is pictured below alongside it. 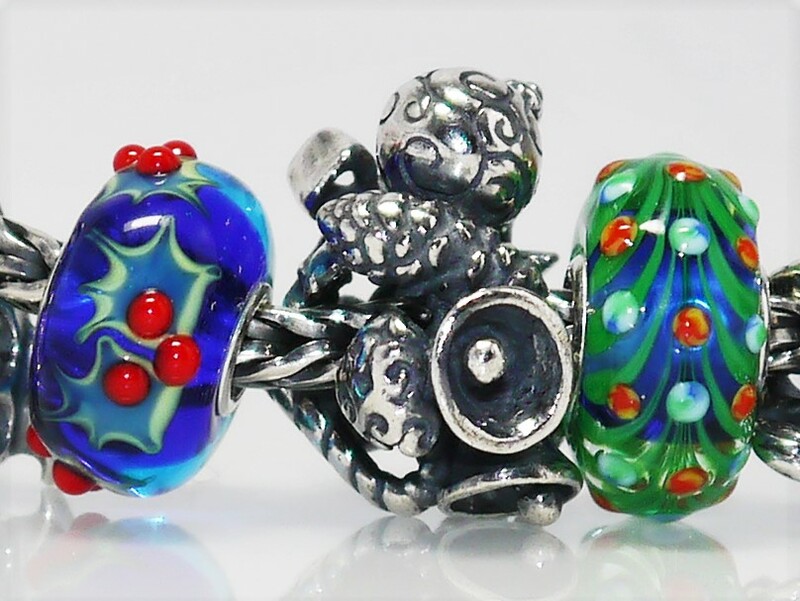 The glass are all very sparkly, especially the Holly Jolly Beads kit. 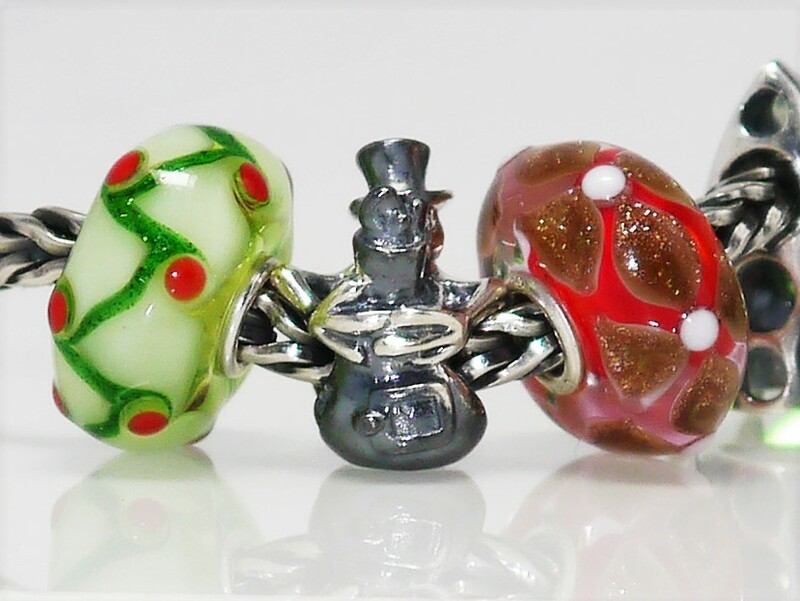 Some collectors may find however that the designs are very familiar to the run of uniques beads we saw released just before last Christmas. 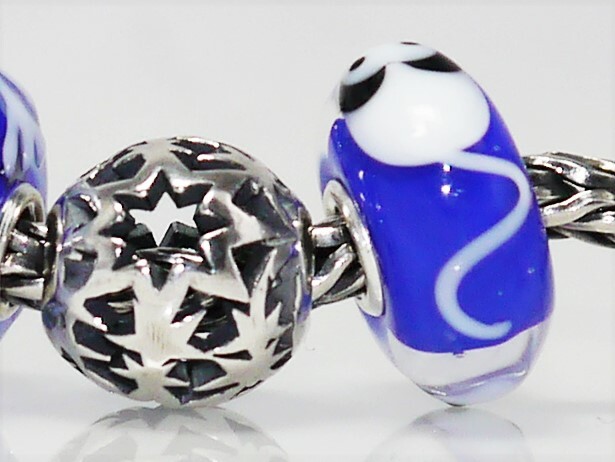 The blue bead with the white stars on from the Holiday Beads kit has a sparkly core, which is more obvious in real life than on the stock photos. 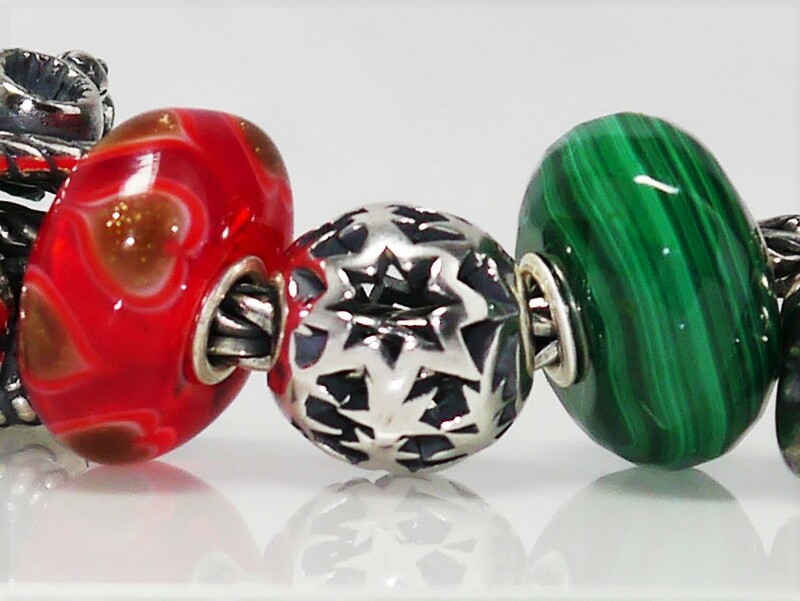 Go Christmas Crazy is a very intricate bead, but also a large one, which is reflected in the higher price. Mittens is a sweet bead, though personally I would have preferred it to be slightly smaller and more dainty. Blooming Hearts is very pretty, and I actually think this would have been perfect for a Valentines release. 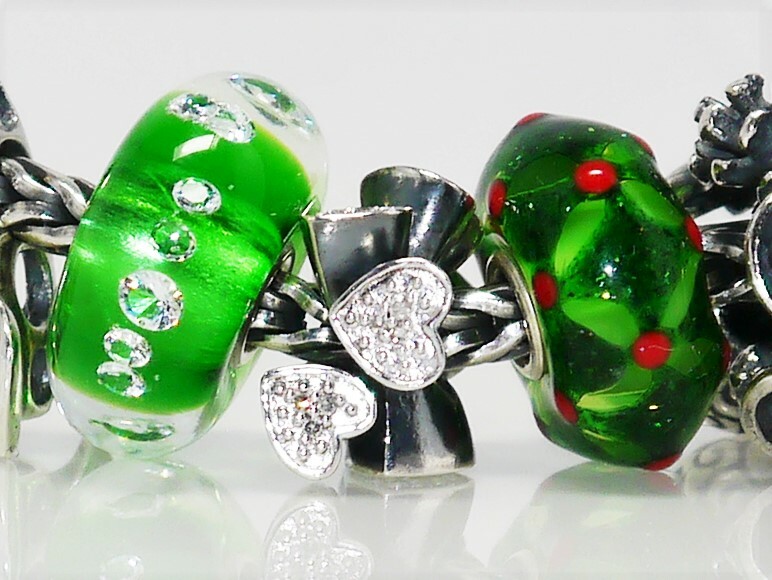 The Diamond Bead, Emerald Green is very sparkly, though not for me personally as I don’t tend to be a green person. However it looks amazing with the Holly Jolly Beads Kit. All in all this is a nice and festive release, reflecting not only the Christmas festive period but also the winter season. 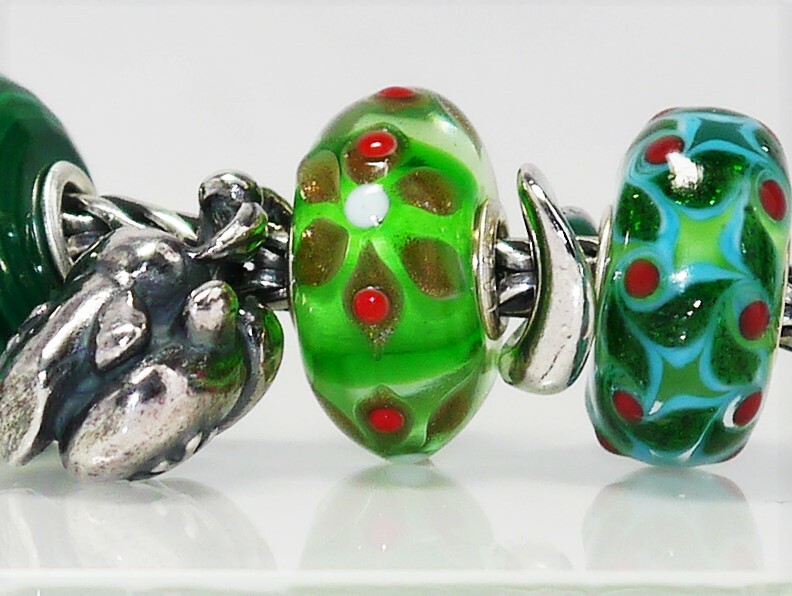 It is bright and sparkly and will also work well with last years glass kits. Thanks for this great review and photos. 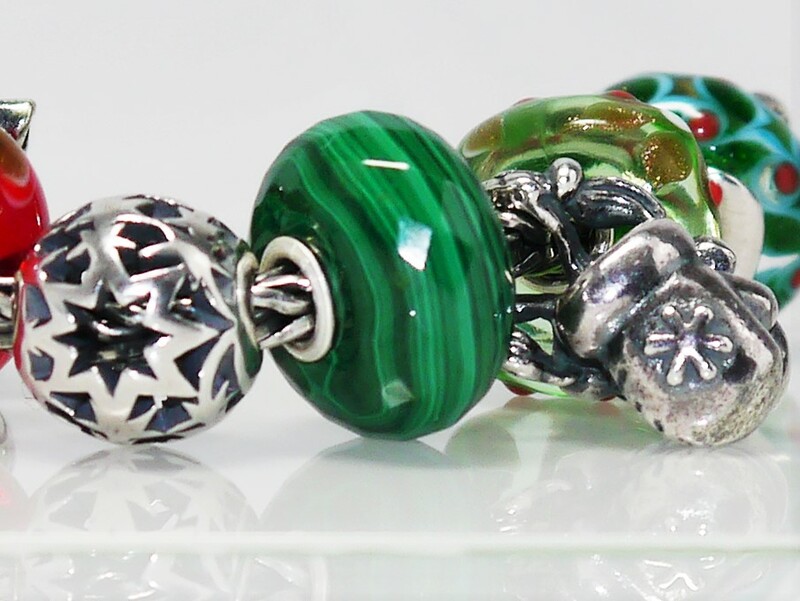 Although I have seen the beads IRL I hadn’t noticed the two-tone silver. 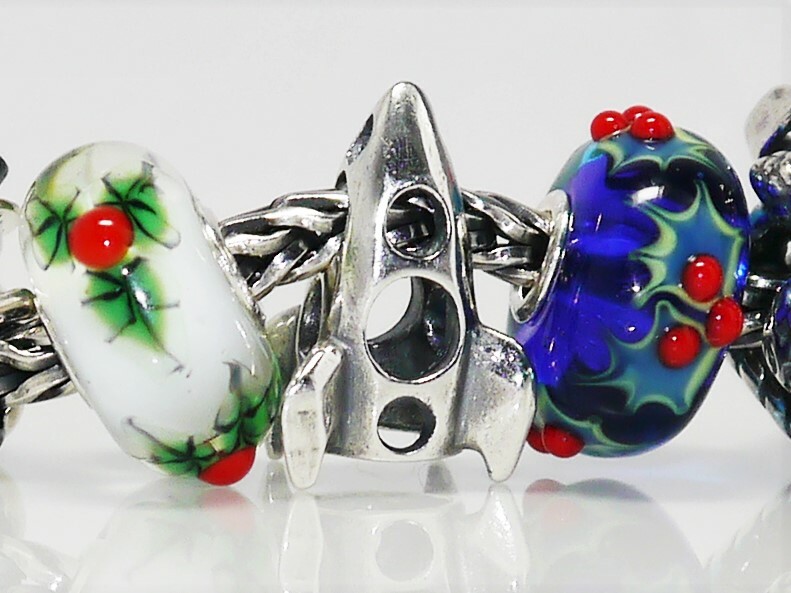 I love the blue holly – was that a unique from last year? 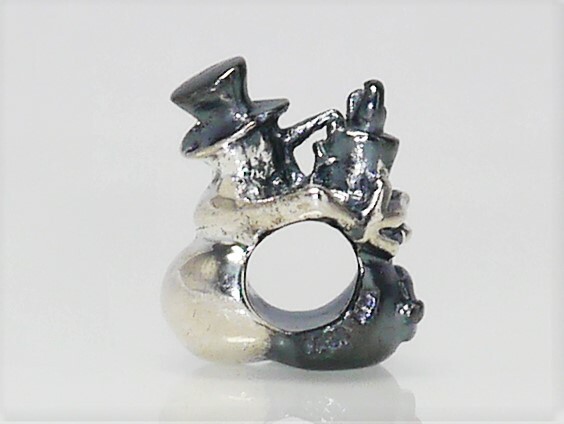 Anyway, its on my wish list, along with Green Diamond and Malachite. Thank you for these images which are the best live ones I have seen. 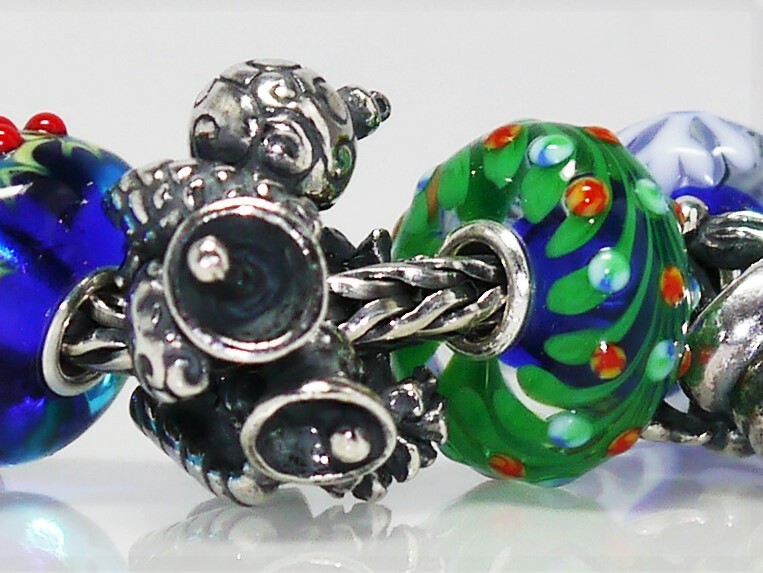 Love the diamond and the malachite – oh and the blue holly too. Hi, thank you. Sorry I didn’t reply sooner, I haven’t been on here for a while.